An interactive audience participatory performance with two custom built 16’ tall robots, each identical, each controlled by the left and right side brainwaves of audience participants. A hacked and customized brainwave monitor reads audience participants' right side and left side brainwaves to make the two robots move, collaborate, interact, fight, and even "kiss". Their live streaming brain data runs the two robots! Volunteers’ (your!) 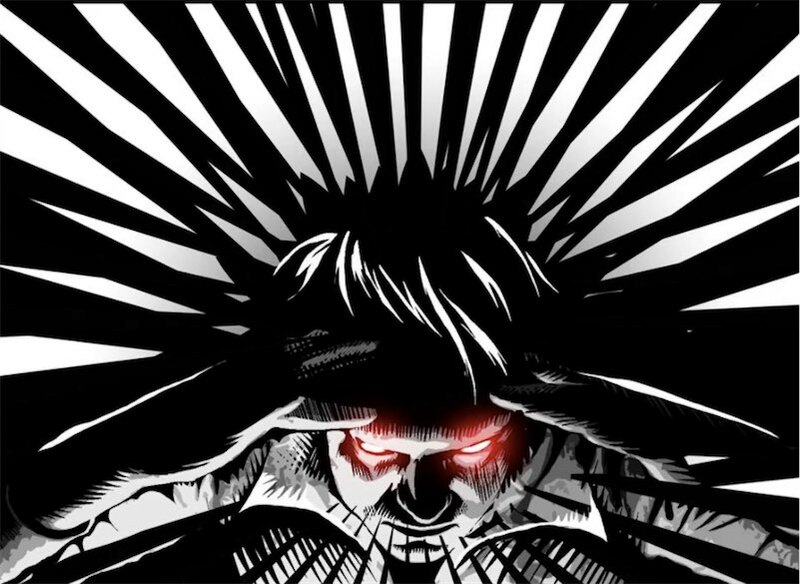 thoughts are brought to life through robotic actions. When they do “correctly” interact, symbolic and metaphoric events will happen, activating, lasers, lights, fog, robotic eye views projections, sounds, chaos. 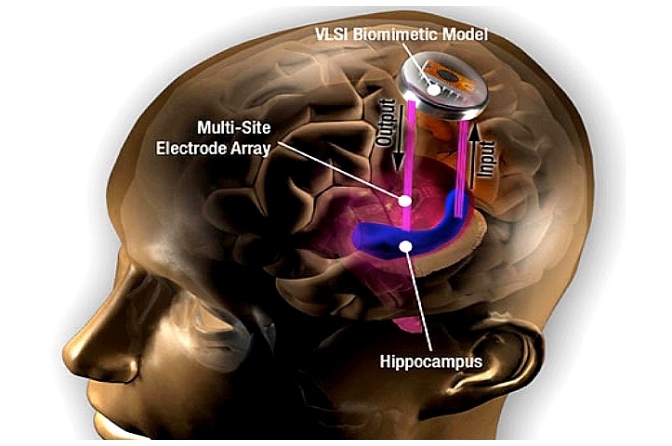 For more than a decade, University of Southern California neuro-engineer Theodore Berger has been working on an artificial hippocampus, an electronic aid for the part of the brain that scientists believe encodes experiences as long-term memories. Now Berger and a new startup called Kernel are confident that the device is ready for prime time. In Berger’s approach, electrodes in the hippocampus first record electrical signals from certain neurons as they learn something new and encode the memory. These electrical signals are the result of neurons “firing” in specific patterns. Berger studied how electrical signals associated with learning are translated into signals associated with storing that information in long-term memory. Then his lab built mathematical models that take any input (learning) signal, and produce the proper output (memory) signal. An implant could help someone whose hippocampus doesn't properly turn information into memories. 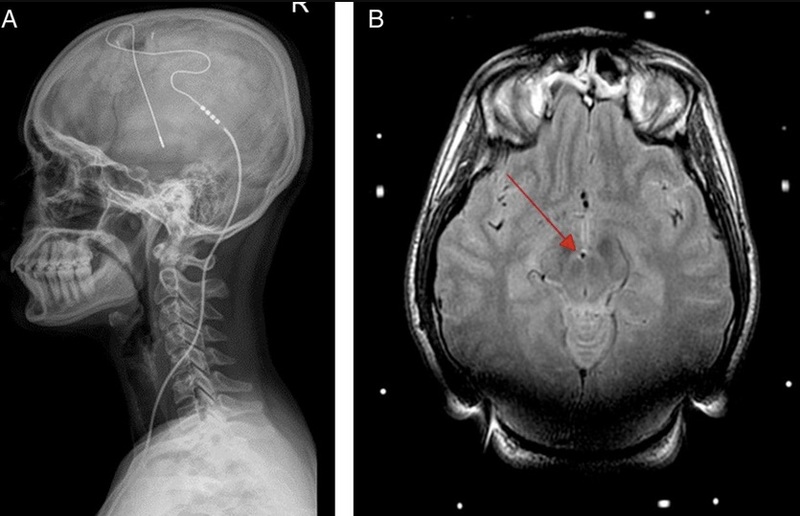 An implanted memory prosthetic would have electrodes to record signals during learning, a microprocessor to do the computations, and electrodes that stimulate neurons to encode the information as a memory. 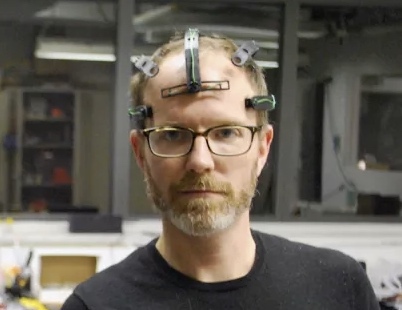 Over at Backchannel, I wrote about how brain tech could transform how we work in the future, from displays that react to our mental state to offices that respond to our brainwaves. Stanford and University of California neuroscientist Melina Uncapher is currently leading a pilot study with a large technology company to use mobile EEG tracking to study how the office environment — from lighting to natural views to noise levels — impacts the brain, cognition, productivity, and wellness of workers. Prepping a room for a big brainstorm? Maybe it’s time to change the light color. The goal, she explains, would be to develop a “quantified environment” that you could precisely tune to different types of working modes.